"Why Aren't You Organic or All Natural?" A few people have come in asking if our products are organic or all natural. 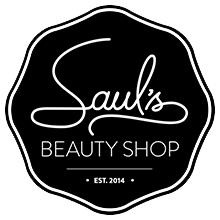 Saul's tends to balk at using those words in our industry because they're un to under regulated and over marketed. Majority of our lines advertise they are natural or naturally-sourced, and being the ingredient junkies that we are, we like what we see with our products but haven't investigated each company's direct source for all ingredients. We don't want to risk lying or misleading our clients, an informed client in this field is a dream come true, so we avoid using those terms. We are certain that all of our products are petrochemical and SLS free (something we talk about in our FAQ ) and that we like the ingredients we do see in our products, but we can't promise that they are all Canada's definition of organic. We're always open to new perspectives or conversations about the topic if you want to swing on by and have a cuppa with us.